“A healthy work organization is defined as one whose culture, climate and organizational practices create an environment which promotes employee mental and physical health, as well as productivity and organizational effectiveness." Healthy Workplaces is about energy, focus, and results. By focusing on a systems approach that allows you to learn and evolve within your environment, we offer you and your company the tools to create and sustain a positive, productive workplace. We are a specialized consulting firm that evolved out of the research and practices of dedicated professionals in the fields of human systems dynamics, organization and leadership development, complexity science and strategy. In addition, we never lose sight of the human factor. We will help you explore and understand what is important and how to create an environment that recognizes and supports people and performance in today's complex and turbulent world. We will help you focus on the Triple Bottom Line: People, Profit and the Planet. Consider a workplace that is vital, models integrity, respect and fairness, and where differences, innovation and opportunities for learning and growth are fostered. That is a healthy workplace! How can we help you? Our customized systems approach will create a framework for leadership, competency, and competitive advantage. Together we can enhance your success and quality of work life. Our one purpose is to help you and your organization succeed! “They are advancing with grace and resolve. Their eyes are fixed on the horizon, putting one foot in front of the other. Many are without resources and support, facing challenges and obstacles at every turn. And still, they, too, persist.” -Jacqueline. 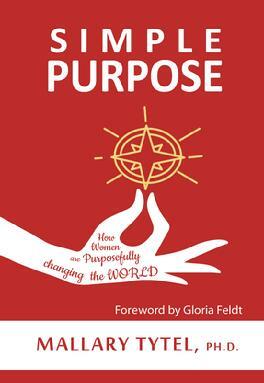 Women today are embracing their own power and purpose, taking a stand and acting with intention. These stormy, uncharted times demand that we allstand up and exercise our power and voice for the better. Explore beyond the headlines and noise and meet these amazing women up close. See what purpose means to them, how they found it, and you may find your own Simple Purpose, too. (c) 2018 Healthy Workplaces. All Rights Reserved. Healthy Workplaces, Envision the Potential and SmartComp are all registered trademarks.